Medical breakthrough happens when professionals think outside of the usual boundaries, and question accepted practices. A good example of this is transpiring right now in the field of reproductive medicine! In the late 1990s, in vitro fertilization (IVF) providers began incorporating a new, cutting-edge test, called preimplantation genetic screening (PGS). Hailed as a revolutionary tool for assessing the viability of IVF embryos, it quickly became the “gold standard” in many clinics across the country. It made sense to screen all embryos and only transfer those that were perfect. PGS takes place in a lab where a technician uses a laser to remove a handful of cells from the outermost layer of a five-day embryo or blastocyst. Doctors are looking at a critical issue – does the embryo contain 23 pairs of normal chromosomes, called euploid, or does it consist of either too few (monosomy) or too many chromosomes (trisomy). Any chromosomal irregularities, even a single cell, will cause the embryo to be classified as aneuploid or abnormal. Since aneuploid is linked to an increased risk of miscarriage or genetic disability, most commonly Down syndrome (trisomy 21), these affected embryos are typically discarded. But what if fertility doctors have been too hasty in ruling out some embryos that might, in fact, be able to remedy abnormalities if given a chance? New York Magazine recently examined this very question and others in a comprehensive article authored by journalist Stephen S. Hall, who makes an effective case for taking a much closer look at PGS. In his article, Hall focuses on the experiences of Monica Halem, a now 47-year-old Manhattan-based dermatologist, who had one daughter born via IVF and desired another child. After numerous failed IVF attempts and with her biological clock ticking, Halem sought out Dr. Jeffrey Braverman, founder and medical director of the Braverman IVF and Reproductive Immunology with centers in Manhattan and Long Island. Considered one of the nation’s leading authorities in the field of reproductive immunology, Dr. Braverman had begun to have doubts about PGS testing as early as 2007 when three of his patients – all relatively young – had produced very high rates of abnormal embryos according to PGS. Since then, Dr. Braverman had grown increasingly skeptical of the PGS all-or-nothing approach to embryo genetic analysis. He speculated many embryos classified as abnormal, could, in fact, produce healthy infants. Other IVF physicians shared his PGS misgivings and soon they began informally sharing information. Prior to PGS analysis, embryos would be examined under a microscope and graded by how they looked and behaved. Any embryo that appeared to be chaotic in how it was organized would be deemed unfit, while those that looked viable, normal, and well-organized were graded high and considered “good candidates” for implantation. Now, using PGS testing, IVF doctors ruled out an embryo that had even one abnormal cell. But was this stringent approach the only option? Dr. Braverman thought not. 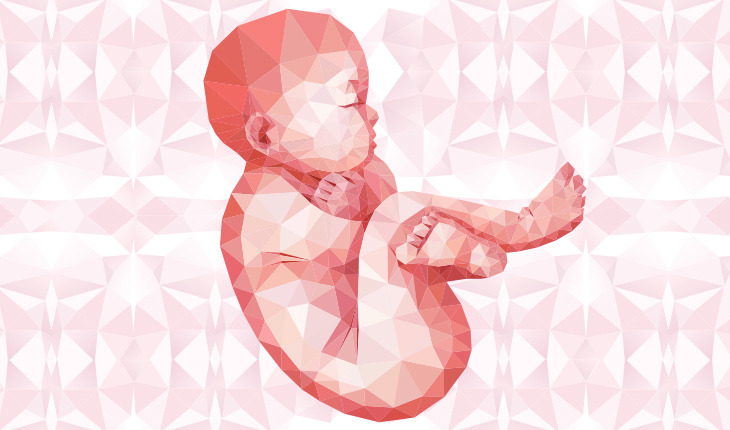 New research had revealed that samples of cells from the same embryo could produce different results, and other studies discovered that an embryo can be a mixture of normal cells along with abnormal, which is now commonly referred to as a mosaic embryo. Mosaicism affects a small number of embryos and occurs in the earliest stages of development when changes are taking place at a rapid speed. When these embryos were examined during PGS, they were typically labeled abnormal and discarded. Dr. Braverman knew if he and other IVF providers stuck strictly to the PGS model of evaluating embryo’s many women would produce few or no embryos that were considered viable. After all, the quality of the female human egg begins a downward spiral as early as age 32. By the time a woman reaches age 42, nearly 90 percent of all embryos produced during a typical IVF cycle will be considered aneuploid. The stark reality is that many women undergoing IVF cycles might never produce an embryo that is chromosomally perfect. He wondered if a combination of PGS and the old-school method of using a microscope to ascertain viability might be a better approach. Running out of time and options, Monica Halem decided to take Dr. Braverman’s advice and had several embryos, all of which were considered mosaic, transferred in 2014. Even though the embryos were not chromosomally perfect, Halem gave birth to a normal baby girl. Although scientists are not certain how this happens, the embryo seems to have the ability to “right itself” by editing chromosomes or by sending irregular cells to the placenta rather than the fetus. Dr. Richard J. Paulson, researcher and director of University of Southern California Fertility, has also expressed his frustrations with genetic screening, which he says is currently “not ready for primetime.” In a video recorded about PGS, Dr. Paulson points out that that embryo cells can make mistakes when rapidly dividing, but that doesn’t mean those errors may not be rectified at a later development stage. “I think it’s a large number of embryos that we’re throwing away because of the inefficiency of PGS,” said Dr. Paulson. Ongoing research by a team of Italian IVF specialists seems to echo this assessment. Early results presented in July 2017 at the European Society of Human Reproduction and Embryology indicated mosaic embryos can indeed produce healthy babies. The same research team is now following 73 women who had live births from mosaic embryos. Implanting what are considered “abnormal” embryos is still under debate. However, recorded successes are causing many in the IVF field to reconsider sticking only to PGS results. Ultimately, this may mean older women may have the opportunity to give birth to their biological child years after they were told they were much too old.